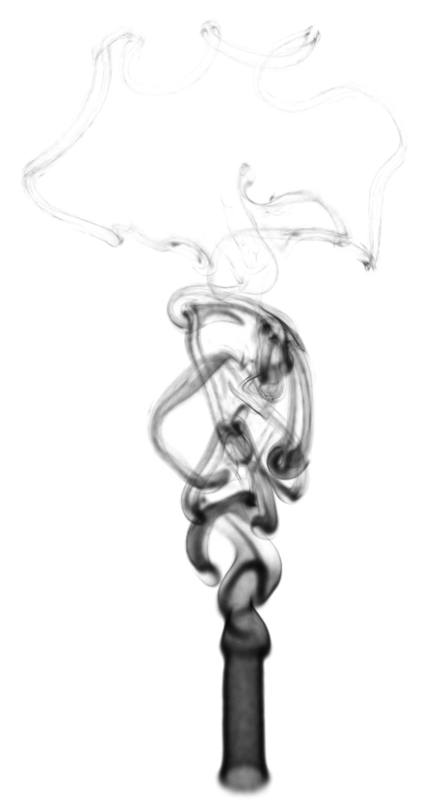 Smoke is one of the core phenomena which fluid simulation techniques in computer graphics have attempted to capture. It is both well understood mathematically and important in lending realism to computer generated effects. In an attempt to overcome the diffusion inherent to Eulerian grid-based simulators, a technique has recently been developed which represents velocity using a sparse set of vortex filaments. This has the advantage of providing an easily understandable and controllable model for fluid velocity, but is computationally expensive because each filament affects the fluid velocity over an unbounded region of the simulation space. We present an alternative to existing techniques which merge adjacent filament rings, instead allowing filaments to form arbitrary structures, and we develop a new set of reconnection criteria to take advantage of this filament graph. 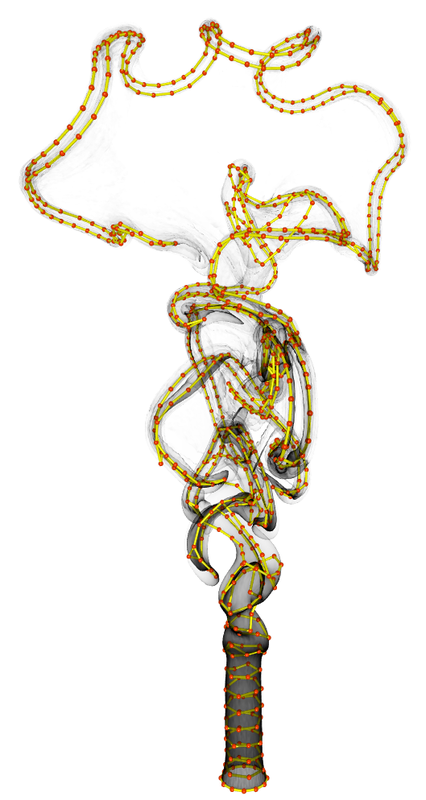 To complement this technique, we also introduce a method for smoke surface tracking and rendering designed to minimize the number of sample points without introducing excessive diffusion or blurring. Though this representation lends itself to straightforward real-time rendering, we also present a method which renders the thin sheets and curls of smoke as diffuse volumes using any GPU capable of supporting geometry shaders. Comments, questions to Alfred Barnat. We support web standards; this page is valid XHTML 1.0 Transitional and CSS.